Home / Dissent NewsWire / What Role Will Body Cameras Play in Policing RNC Protests in Cleveland? What Role Will Body Cameras Play in Policing RNC Protests in Cleveland? Many police officers will not be wearing body cameras at the Republican National Convention in Cleveland this July. 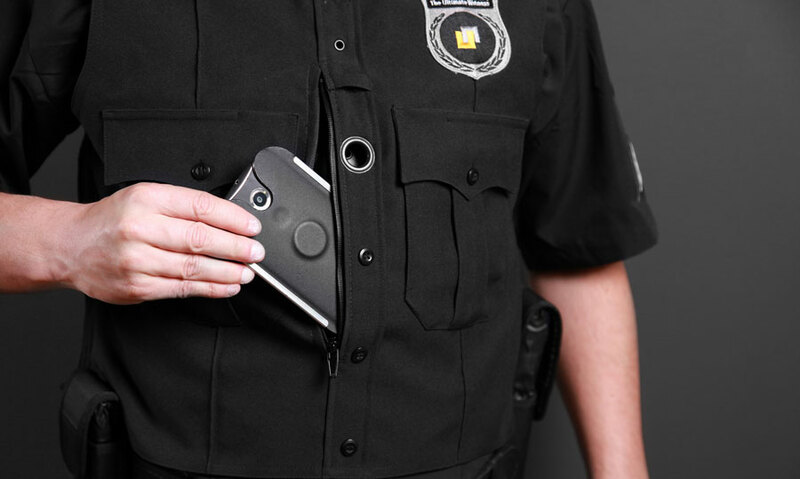 Police body worn cameras (BWCs) have risen in popularity over the last couple of years for their potential to increase police transparency and deter the use of excessive force on civilians. However, BWCs must be used carefully, so a proposed tool of police accountability does not become yet another tool of mass surveillance. Who Will Be Wearing a Body Camera at the RNC? Cleveland Police: At first, officers from the Cleveland police department will be wearing “soft uniforms” or the customary uniform expected on a typical officer. These soft uniforms will be outfitted with the body cameras the city spent 2.4 million dollars on in 2015. However, if a riot of any kind breaks out, officers will change into hard riot gear and will remove their body cameras. Surrounding Departments: Cleveland police will be joined by thousands of officers from surrounding police departments the week of the convention. Each department has been left to individually decide their policy on body cameras. The Cleveland police department is notorious for its use of excessive force, and is currently undergoing a number of police reforms mandated by the U.S. Department of Justice to lessen its amount of Fourth Amendment violations. The 105-page consent decree from the Department of Justice does not inspire confidence. In March, media reports provided a rough inventory of the equipment Cleveland bought with its 50-million-dollar federal grant for the convention. The list included 2,000 sets of riot gear (including collapsible steel batons and motorcycle riot gear), surveillance devices and caging equipment. Cleveland Police Chief Calvin Williams has said that the Republican National Convention will bring “challenges of historic proportions” to Cleveland and will force his department to its limits. Proponents of BWCs argue that it is safer for everyone involved if an overextended and understaffed police force is wearing body cameras when handed military-grade weapons and machinery. Cleveland police officials claim that body cameras will not be worn because they cannot be securely attached to riot gear. However, numerous products are available to secure this type of camera to this type of riot gear. Police officials assured the public that police interactions with demonstrators will still be monitored through other means of recording, such as hand-held cameras and surveillance from helicopters. Still, faraway surveillance devices will not be able to capture the nuances of specific interactions and cannot cover the miles of ground that have been dedicated to protests.